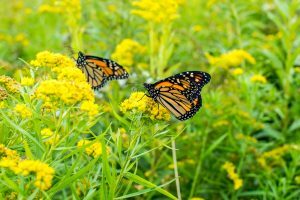 The United States Department of Agriculture’s (USDA) Natural Resources Conservation Service (NRCS) is working to increase pollinator populations by aiding farmers in making conservation improvements to help monarch butterflies and other pollinators. The Environmental Quality Incentives Program, Conservation Stewardship Program, and Agricultural Conservation Easement Program offered through NRCS can help provide financial assistance to cover some of the costs of implementing a variety of different practices. The monarch butterfly is one of the most well-known butterflies in North America and like other pollinators such as bees, monarch butterfly populations have been struggling. Populations have been in significant decline over the past 20 years with estimates showing a decrease of more than 90 percent since 1995. One of the largest contributors to the drop in the number of monarchs is the decrease of native plants such as milkweed, which is the sole food source for monarch caterpillars. There are close to 40 different conservation practices offered by NRCS that can benefit monarch butterfly populations. The organization works with farmers and ranchers to conserve the environmental resources necessary to not only benefit monarch habitats but also provide for an economically sustainable business. Practices such as managing for high-value nectar plants such as milkweed and protecting them from exposure to pesticides can go a long way in helping monarch populations. NRCS conservationists can provide producers with a comprehensive plan for individual farming operations. 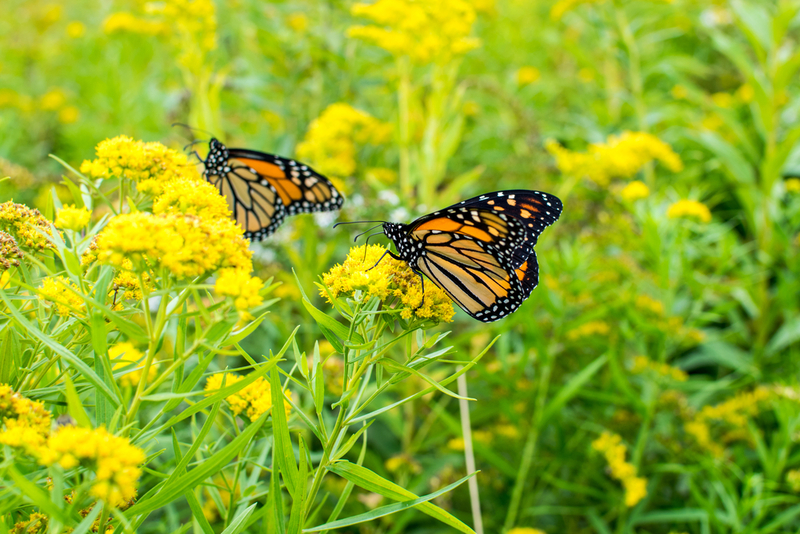 Wildlife biologists can also provide technical assistance for how farmers can best help monarch butterflies while also addressing other natural resource concerns on their land. Specific types of conservation practices that benefit monarch butterflies can also aid honey bees as well as other pollinators. NRCS works closely with other organizations such as the Xerces Society for Invertebrate Conservation to help ensure the health of pollinator populations.